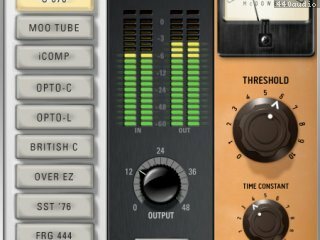 Using the popular module format, the 6030 offers ten different compressors. All of these designs are by McDSP – some completely from the ground up, while others are emulations of existing gear with unique variations created by McDSP. Each 6030 module is easy to operate, and yet has enough sophistication for the most discerning professional. Whatever your style, from smooth tube emulations to aggressive solid-state designs, the 6030 has a custom-made dynamic range control module that is right for you. McDSP HD and Native plug-ins are compatible with Pro Tools™ HD, Pro Tools™ LE and Pro Tools™ M-Powered systems as well as Audio Unit compatible DAWs including Logic, Digital Performer (DP) and Ableton Live. Additionally, a third party software application that supports the TDM, RTAS, or AudioSuite plug-in standard may be supported. McDSP plug-ins support Mac OS 10.5.x (Leopard), 10.6.x (Snow Leopard), 10.7.x (Lion), 10.8.x (Mountain Lion), Windows XP, Vista, and Windows 7. Supported versions of Pro Tools™ include 7.4.x, 8.x, and 9.x or greater. Supported versions of Audio Unit compatible DAWs including Logic, Digital Performer (DP) and Ableton Live must be versions that support the Mac OS 10.5.x (Leopard), 10.6.x (Snow Leopard), or 10.7.x (Lion), 10.8.x (Mountain Lion). McDSP plug-ins require an iLok USB Smart Key for authorization. Optimized HDX memory usage for Channel G, Channel G Compact, and 4040 Retro Limiter. Adjusted Channel G Dynamics initialization. Corrected Revolver AAX stereo mode processing. Addressed inconsistant slope control when automated in FilterBank. Improved CompressorBank preset restoration and interchange between configurations. Added AAX 64-bit versions to Mac products for Pro Tools 11 support. iLok 2 USB Key required for versions 5.3 and greater. 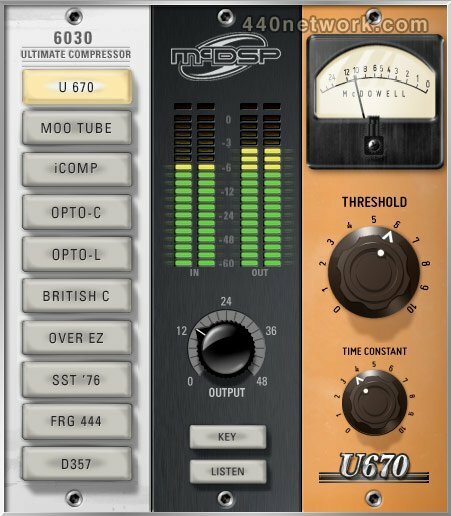 Added AAX DSP and Native versions for 4020 Retro EQ, 4030 Retro Comp, 4040 Retro Limiter, 6030 Ultimate Comp, Analog Channel, CompressorBank and FilterBank. Created Gatekeeper compatible Mac installers for all products.